This ambitious first play by H Lawrence Sumner is inspired by real life cases of Aboriginal Australians’ remains being repatriated to Australia after previously being held in museums overseas. It focuses on one family coming to terms with the trauma of their past and examines the intergenerational consequences of colonialism. During the Rough Draft week, H Lawrence Sumner will work with director Leticia Cáceres to develop this early draft script. They’ll share some of their work and process with you at the free public showing. From the Ngarrindjeri nation in South Australia's Coorong, a writer and creative performer, "Howard" Lawrence Sumner has original works in film & theatre and has carved a niche as a singer / songwriter in the South Australian indie music scene. He is a directing graduate of NIDA. Leticia Cáceres has directed for most mainstage companies in Australia and her work has toured nationally, internationally. She was Associate Director for Melbourne Theatre Company from 2013 to 2015. She’s the co-founder of nationally-acclaimed RealTV with multi award winning playwright Angela Betzien. 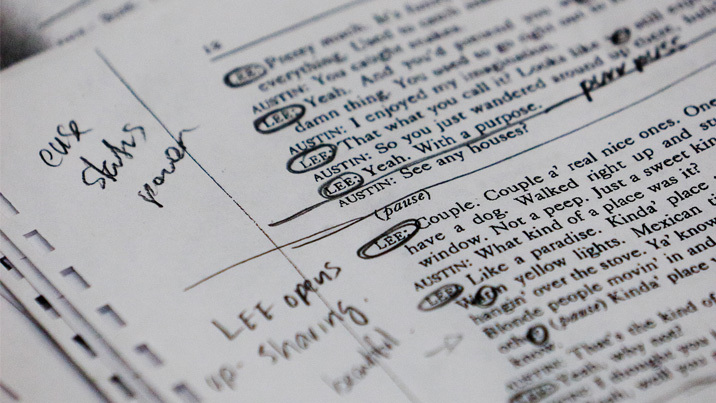 Rough Drafts is an opportunity to see fragments of a work in progress and to gain insight into the theatre making process. Rough Drafts support the development of new Australian works by providing artists with an opportunity to experiment with and grow their ideas. Writers and directors are given access to a rehearsal space, a paid team of actors or creatives and dramaturgical support. They may use the week and resources to embark on something currently unscripted or they might choose to develop a script that is already complete in draft form. The outcomes vary greatly according to the project. At the end of the workshop week, we invite you into the development process to have a sneak peak of a work in progress at the free public showing. These showings are an opportunity for the artists to try their ideas in front of an audience... and it’s a chance for you to learn about how new plays are made. There are no transaction fees for this event. If you have RSVP'd and find you can no longer attend, please don’t stand us up! Let us know so we can give your seats to someone else. We love that Rough Draft showings are popular, but it makes us sad to see empty seats when we know other folks have missed out. By returning unneeded seats, you’re helping to ensure that as many people as possible get to take part in the creative development process. To return seats, contact Box Office on 9250 1777 up to 2 hours in advance.